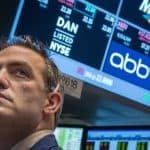 NEW YORK (Reuters) – Bayer AG disputed accusations in a new Netflix documentary that claims medical device makers and the U.S. Food and Drug Administration placed profits before patient safety. The company, in a statement released Thursday night, said the documentary “The Bleeding Edge,” which debuted on the streaming site on Friday, lacks scientific support and cherry-picked facts to present an inaccurate and misleading picture of Bayer’s permanent birth control device Essure, one of the products spotlighted in the film. “This does a disservice to the thousands of women who rely on Essure for their reproductive health, as it may encourage them to pursue risky and unnecessary surgery to remove the device,” Bayer said. Nexflix did not immediately respond to a request for comment. Bayer last week announced it would phase out Essure in the United States after discontinuing sales elsewhere in 2017, a move it said was not related to safety concerns. Bayer said studies overwhelmingly showed Essure to be safe. A small metal coil inserted into a woman’s fallopian tubes, Essure triggers scarring to permanently prevent pregnancy. 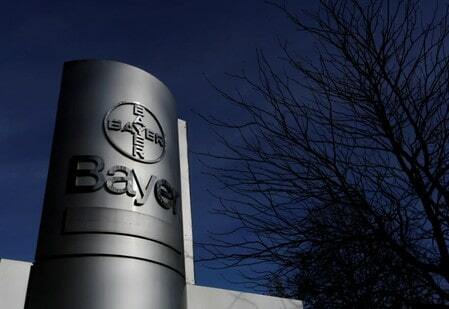 Bayer currently faces over 16,000 U.S. lawsuits related to Essure from women who claim the implants caused injuries like excessive bleeding, abdominal pain and allergic reactions. The documentary features several women who say they were injured by Essure and accuse Bayer of having concealed its knowledge about potential risks. The documentary also focuses on Johnson & Johnson’s metal-on-metal hip and pelvic mesh implants, saying the company knew the products to be unsafe but proceeded to market them anyway. J&J did not immediately respond to a request for comment. The company in the past has said it stands by the safety of both devices, adding that surgeons are properly informed about potential complications. The J&J devices featured in the documentary were cleared by the FDA under less stringent procedures than its formal approval process, exempting manufacturers from having to submit clinical data on device safety. Essure was approved in 2002 following the FDA’s most stringent device review process, but the documentary said Bayer evaded critical safety questions at the time. The FDA in a statement said it has not yet seen the documentary but that it strives to allow devices with favorable benefit-risk profiles to be marketed. “Often the true benefit-risk profile of a device cannot be fully understood until it can be evaluated when used in routine clinical practice,” the FDA said, adding that it uses postmarket data to monitor the safety and effectiveness of devices. The agency is currently monitoring Essure in postmarket studies.